As Hurricane Matthew made contact with the Bahamas in early October, it brought with it many threats of damage and devastation. The Cape Eleuthera Institute (CEI) was extremely fortunate in the sense that Matthew did not hit as hard as expected, but still the storm left its fair share of destruction. Coral reefs offer numerous benefits to ecosystems; one of these being that they can dissipate the power of storm waves generated by hurricanes and therefore lessen the blow of terrestrial damage. However, this absorption of wave energy does not leave the reefs unimpaired. 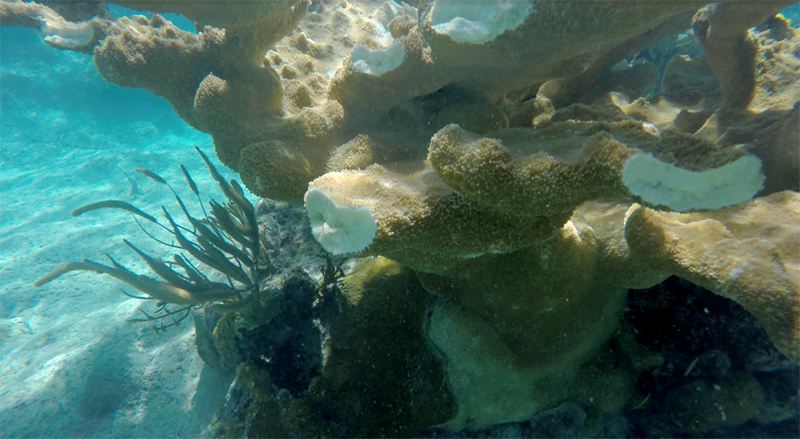 During large storm systems such as hurricanes, corals are susceptible to fragmentation. Fragmentation is a negative effect in the sense that it can cause some stress to the coral, but on the other hand it can be a positive event because some coral species, such as Elkhorn coral (Acropora palmata) and Staghorn coral (Acropora cervicornis) use fragmentation as a form of asexual reproduction. That is, a new colony can grow from a fragment of the parent colony. 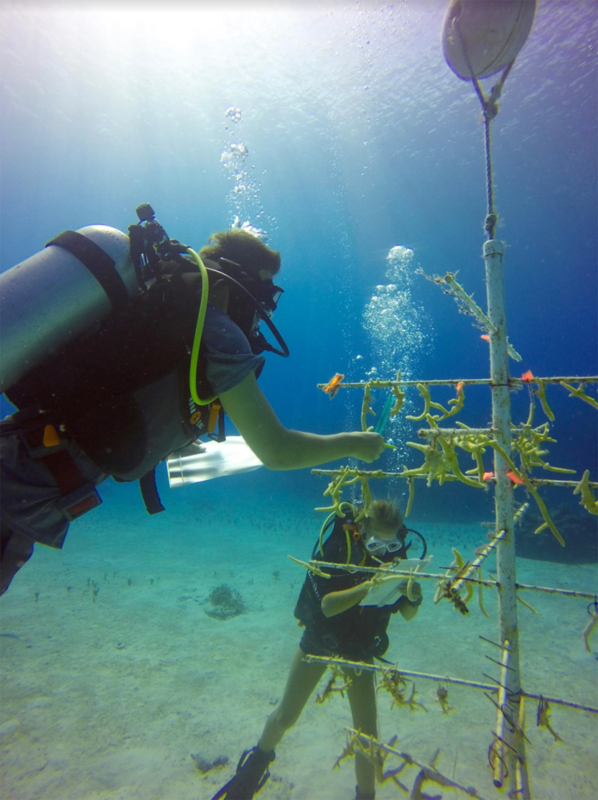 Scientists across the Caribbean, including here at CEI, are using this method of growth to create coral nurseries which grow fragments to be outplanted onto damaged reefs.